Editor’s Note: Today’s guest post is part of a blog series on creating eLearning courses by Sharlyn Lauby, SPHR, CPLP. Sharlyn is a HR pro turned consultant with more than 20 years of professional human resources experience. One of the most essential and challenging components to designing training is creating the learning objective. If you design training (like I do), you know it’s one of the first pieces clients ask for. “What’s the program objective?” And clients don’t want wimpy objectives. Understand the four components of a learning objective. Be able to describe the four components of a learning objective. Our workshop will provide participants with the opportunity to learn the four components of a learning objective. Please don’t hate on me for saying it. We all know it. And I’ll admit, upon occasion, I’ve used those weak verbs myself. But there’s a better way. Now, before I share with you my rule for writing a solid learning objective, I want to have a quick sidebar conversation about the term “learning objectives”. Often, we use the terms learning objective and learning outcome interchangeably. I’ve been guilty of this myself. Traditionally, learning objectives are what participants can expect from the facilitator or trainer. Learning outcomes are what participants are expected to know or be able to do by the end of the training session. They should be specific and measurable. I believe in today’s training world we call what participants can expect during the learning event–the program description. And we call what participants expect to know by the end of training–learning objectives. So for the purposes of this post, we’re calling them learning objectives. Back to the rule. I use what is called the A-B-C-D method for developing an objective. Audience is fairly self-explanatory. They are the participants. Behavior is the “thing” they need to know or do. Condition represents the support that is provided to the learner. It might be a book, job aid, etc. Degree refers to the required efficiency level. Given a complete copy of the manual on Instructional Systems Design, the participant should be able to accurately describe the four components on a learning objective without error when given at least three opportunities to do so. I find this four step process to be a thorough way in developing an objective. Just ask the questions. Who is the intended learner? What do they need to know or do? What kind of support will we provide? What is the degree of proficiency they need to have? I’m curious. What do you see as the biggest challenge to writing good learning objectives? Take our one-question poll. We’ll post the results in a couple of weeks. 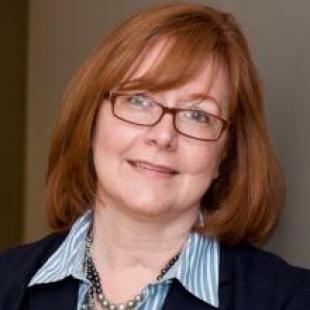 Sharlyn Lauby is the HR Bartender, whose blog is a friendly place to discuss workplace issues. When she’s not “tending bar”, Sharlyn is president of ITM Group, Inc., which specializes in training solutions to help clients retain and engage talent. Her personal goal in life is to find the best cheeseburger on the planet. Connect with her on Google+ or follow her on Twitter.